When you picture a beach, you normally start with the sunshine, the warm temperatures we all associate with summer vacation. You might picture yourself getting a great tan while wearing your shorts and flip flops, maybe even hoping for a nice ocean breeze to blow through and cool things off for a moment. From living here near the beaches of southeastern North Carolina, we’re here to tell you that the coast can be an absolutely delightful place to live, even before or after the span between May and September! 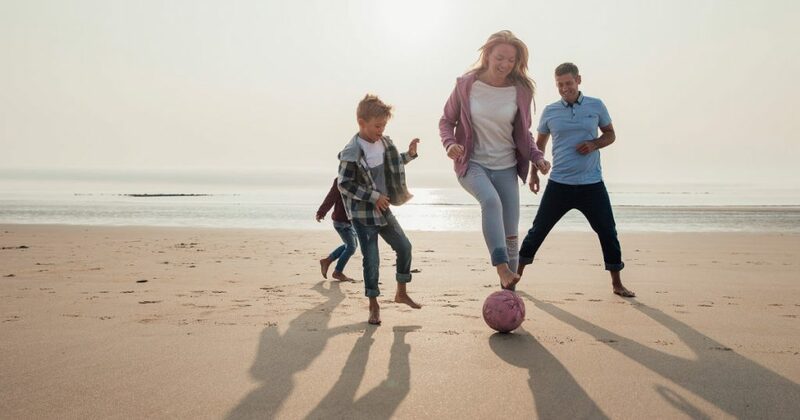 You may not be wearing that bathing suit during the winter season, but there are plenty of reasons to enjoy living near the beach during the off-season. While this does narrow down the possibility of a white Christmas or a snow-driven New Year’s Eve, it means more beach time for you and the family! And if you’re a fan of water sports, then you’ll also love being able to get out on the waves and surf or paddleboard to your heart’s content, without quite so much competition vying for your space. Thanks to laid-back vibes, plenty of encouragement to get out and exercise, and the region’s natural environmental advantages, you get to reap the physical benefits of having a mild climate throughout the year – definitely a plus towards that New Year’s resolution to live healthier! Between traffic jams, restricted parking, crowded beaches and restaurants, and sold-out events, tourist season in any beach community can grate on the locals’ nerves – even if it is a great boost for our regional economy. During the off-season, you get the chance to reclaim your favorite hotspots without the crowds that often make enjoying these locales a bit of a struggle. So go ahead and plan a day at the beach; the temperatures might be lower, but you can still take a long walk on the sand and listen to the waves come crashing in. The fun doesn’t stop just because the visitors are gone! In fact, many beach towns purposefully schedule annual events during the off-season in order to draw in a few straggling tourists and generate local interest among residents. Depending on the occasion, they’ll also often put special offers and deals into effect, which means that you can save money while participating in all of the fun that your particular coastal city has to offer during the colder months. It may not be a summer concert series or a festival held under the sun, but our communities certainly know how to plan entertainment for the whole family! Whether you’ve lived in one of our coastal communities your entire life, or only just moved in last year, there are many reasons to love where you live no matter the season. If you’re new here, or perhaps considering a move to southeastern North Carolina, contact us about quality long-term rental homes to help you get settled in.